Have You Seen My Kitty? Please let me know if you see him!!! 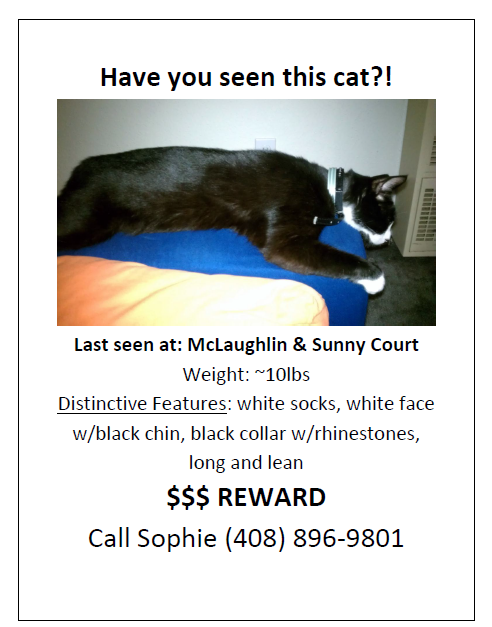 This entry was posted in cat and tagged cat, flyer, kitty, lost cat, McLaughlin, picture, San Jose, Sunny Court, tuxedo cat by Sophie. Bookmark the permalink. Not yet =/ Thanks for asking though!